Carrie & Kris British wedding planners in Turkey Carrie & Kris got married with Official Wedding in Turkey Antalya with Wedding City Antalya privilege. 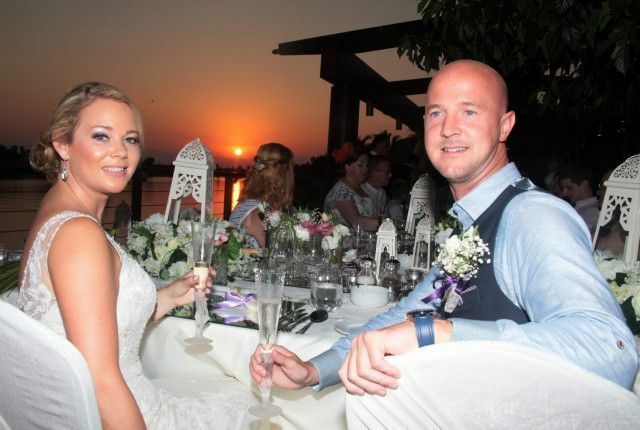 Their wedding was organised according to british wedding traditions in Turkey Antalya. Speech of Carrie’s father was very impressive. As their wedding planner in Turkey, we are very glad to orgaise their wedding ceremony in Turkey Antalya. We have prepared a magnificent wedding venue at Gloria Serenity Resort Hotel Belek.